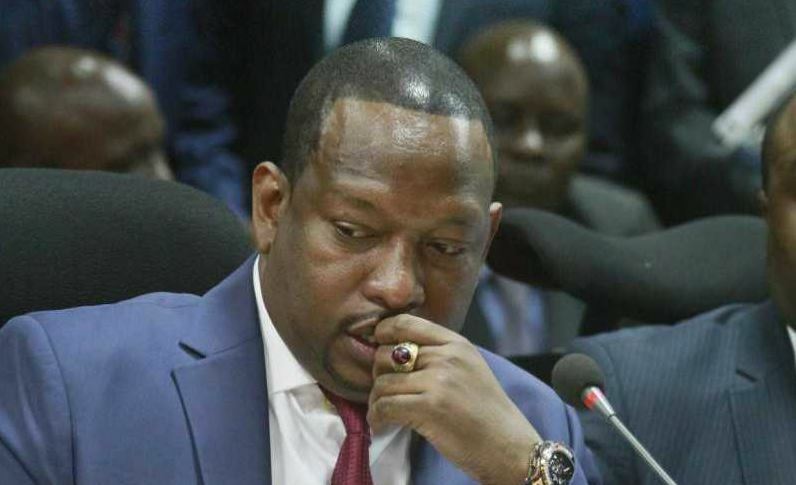 Nairobi County governor Mike Mbuvi Sonko has outlined the projects his administration intends to roll out in the next financial year. The multi-million shillings projects in line with President Uhuru Kenyatta’s Big Four agenda and are expected to transform the city and tackle the problems Nairobians are currently facing. In the County Fiscal Strategy Paper for 2019-20, Sonko’s administration proposes a budget of Sh31.5 billion, with Sh8.7 billion being allocated for development. A large chunk of the Sh8.7 billion will be spent on expanding and equipping county health facilities, constructing residential houses, expanding roads and improving water and sewerage infrastructure. The County has also proposed to spend Sh6.8 billion on health. Strangely, Sh5 billion of this allocation will be spent on staff salaries. Sh874 million will be spent on drugs and medical equipment to end the persistent shortage in public hospitals. A further Sh334 million will go towards the expansion of hospitals, including the refurbishing of Pumwani Maternity Hospital and completion of the 300-bed facility at Mama Lucy Kibaki Hospital. “The county is leading the way to make the universal health coverage a reality through rapid health infrastructure expansion, acquisition of specialised equipment and capacity building,” the fiscal paper states. Sonko’s administration has proposed to allocate Sh1.9 billion to address the garbage, persistent water shortage and sewerage problems. Of the amount, Sh839 million will be used to hire contractors, and service and fuel garbage trucks. “To improve access to water and sanitation services the sector will seek to increase water supply by drilling boreholes and extension of water systems,” the document reads. To address the poor state of city roads, City Hall has proposed to allocate Sh1.8 billion. This will be used to construct walkways, complete ongoing road projects, improve traffic management facilities and develop parking areas. On housing, Sonko plans to build 100,000 housing units in the medium term. 10,000 units are expected to be constructed in 2019-20. They will be constructed under the Urban Renewal Programme- a joint venture between the county government and private investors to revamp old city estates. Seven estates set to be redeveloped include Old Ngara, Jevanjee, New Ngara, Suna Road, Uhuru, Pangani and Ngong Road. “To enable the urban renewal sector to effectively spearhead the envisaged urban renewal programme, Sh861 million will be allocated for development expenditure,” the report reads.